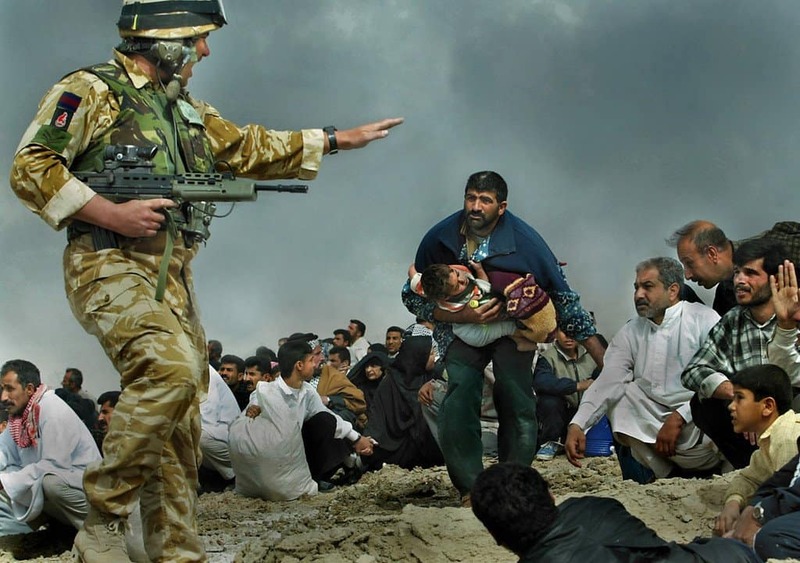 This image appeared on the front of the LA Times in 2003, not long after the U.S. and coalition forces invaded Iraq. It soon became clear though that the image was not a genuine photograph but rather a composite of several pictures that were merged together to make a more compelling photo to sell to the newspaper. 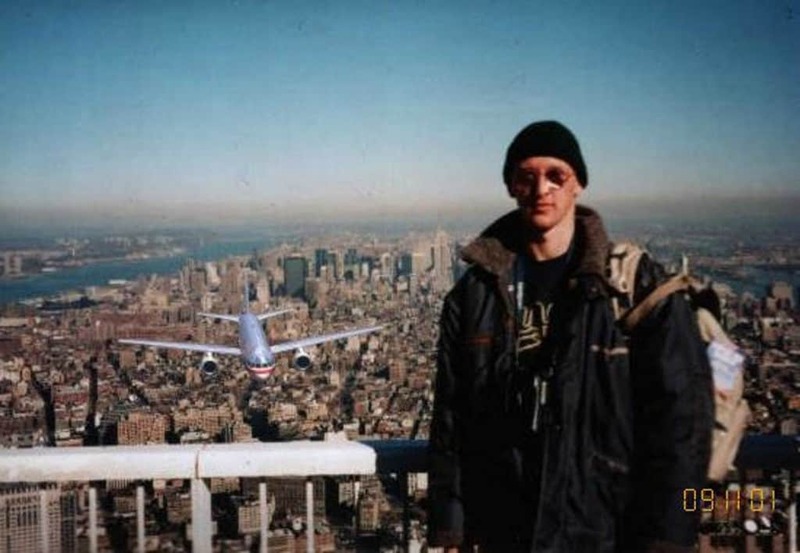 The tragic events that occurred on September 11, 2001 were brought back into sharp focus with this image that apparently showed a tourist in a photograph before a plane hit the building. Despite the fact that many people believed it, it was shown to be fake when examined in detail thanks to the fact that it included erroneous details such as the wrong aircraft being from the wrong airline. This impressive photograph claimed to show an intricate carving of Buddha in the middle of a huge spire that extends hundreds of feet in the air at the Ngyen khag Taktsang Buddhist monastery in Bhutan. 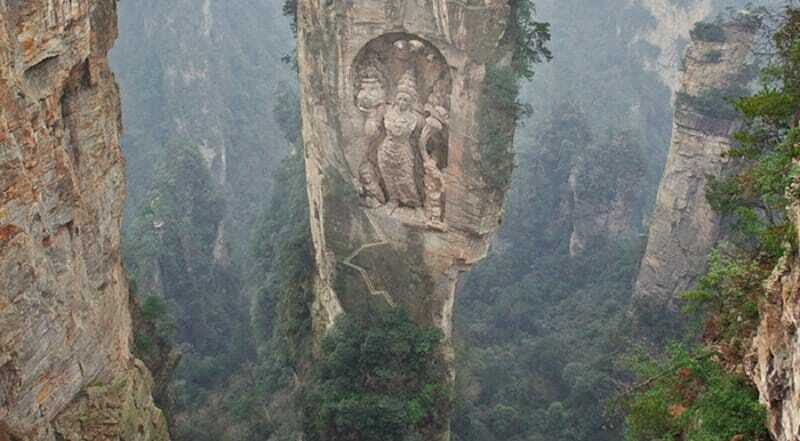 While the structures themselves are perfectly real, the carving has been placed onto the rock using Photoshop software. 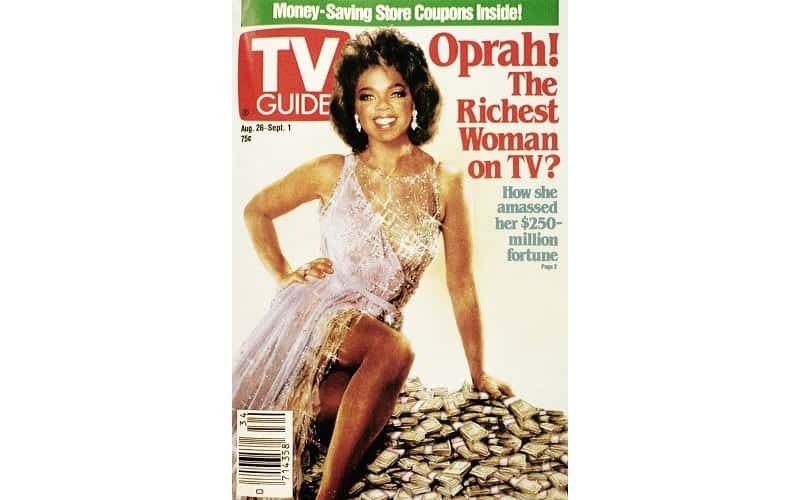 With Oprah Winfrey rising to stardom, she became one of the richest TV stars in the country. This cover for the TV Guide tried to show how glamorous the hugely successful personality was, although it was later discovered to be a mashup. Ann-Margret’s fashion designer recognized the dress from the image and realized that Winfrey’s head had been superimposed onto the body of actress Ann-Margret. 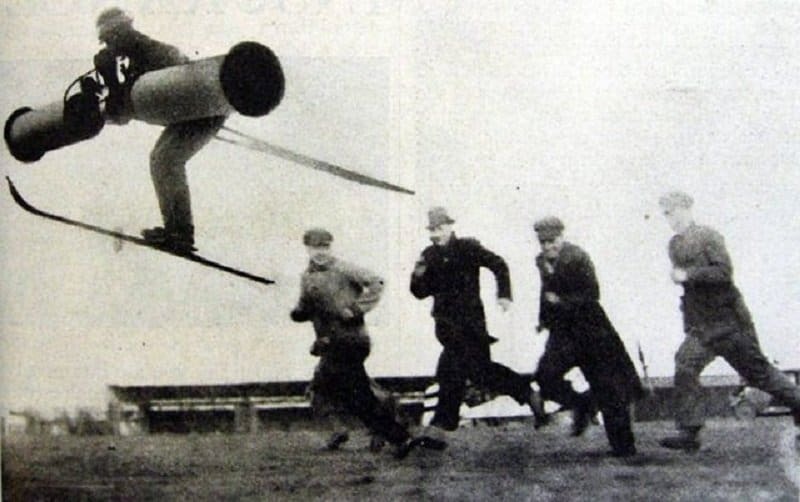 This picture originally appeared in the Berliner Illustrirte Zeitung magazine in 1934 as an April Fool’s joke. According to the accompanying article, it showed a brand new invention that allowed people to fly through the air using the power of the person blowing into it. Due to translation issues though, the apparent photograph was picked up by several news agencies in the United States and ran as a genuine invention. 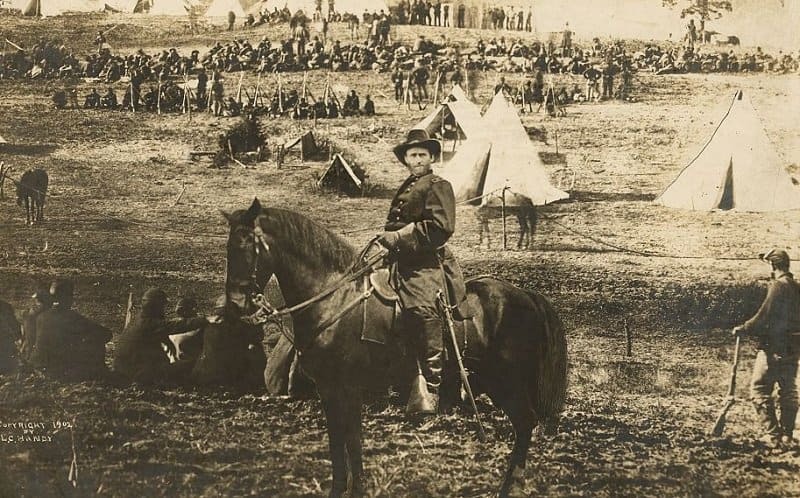 One of the most famous images of Ulysses S. Grant is of him appearing in front of soldiers on horseback at City Point, Virginia during the American Civil War. The man, who would later go on to be president, never actually posed for this photograph. It is actually a mashup of several different photographs, with the head taken from Grant, put onto the body of General Alexander M. Cook and displayed over a background of prisoners at Fisher’s Hill. 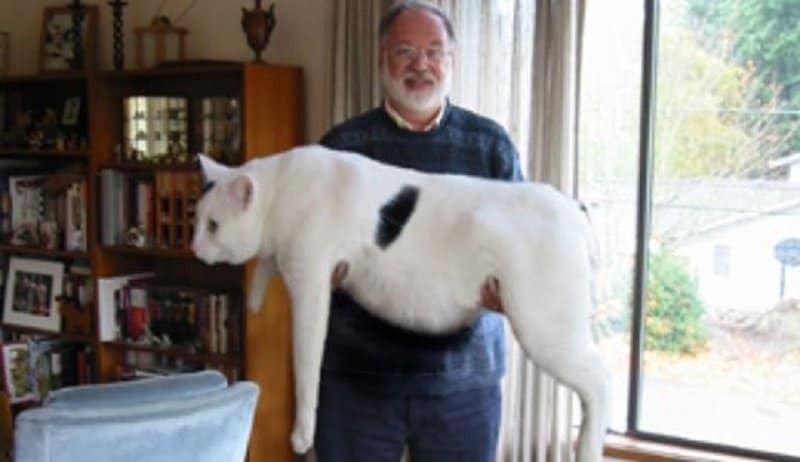 This unbelievable picture was spread on the social media platform Pinterest and fooled hundreds of thousands of people. 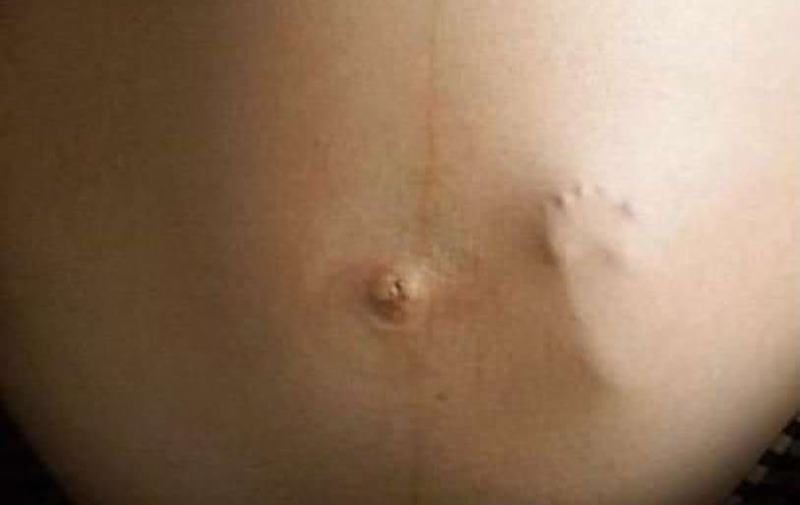 The image, though, is completely fake, with the footprint cleverly manipulated onto the original image of a pregnant lady. There’s also no way that such an event could occur thanks to the fact that the muscles, fat and uterus wall in the abdomen are all too thick to allow that sort of detail to come through. Photo manipulation has long been a technique that magazines have used to create compelling or stunning cover images. However, readers expect factual publications like National Geographic to honestly portray the world and not used faked images. 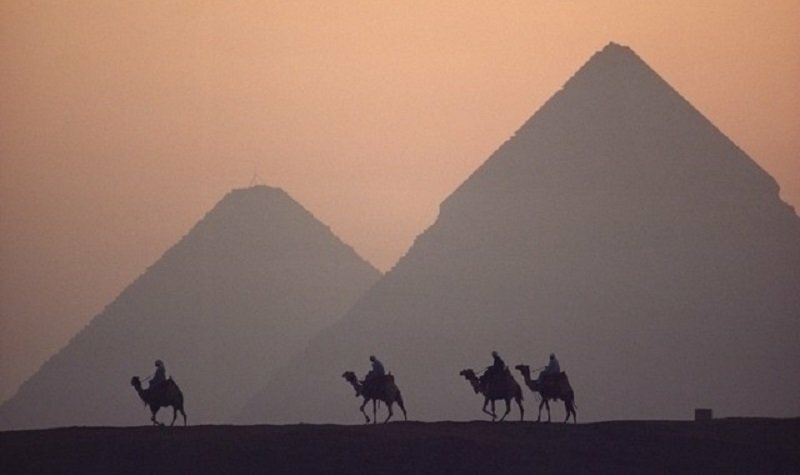 The above photograph became famous for its striking depiction of the Pyramids of Giza in Egypt when it appeared on the cover of National Geographic, even though it turned out that the structures had been artificially moved closer to each other to create a more effective piece. Like many manipulated images that go on to fool a huge number of people, this photoshop was never intended to deceive anyone. Instead, it was created for the purpose of entering a competition for Worth1000. 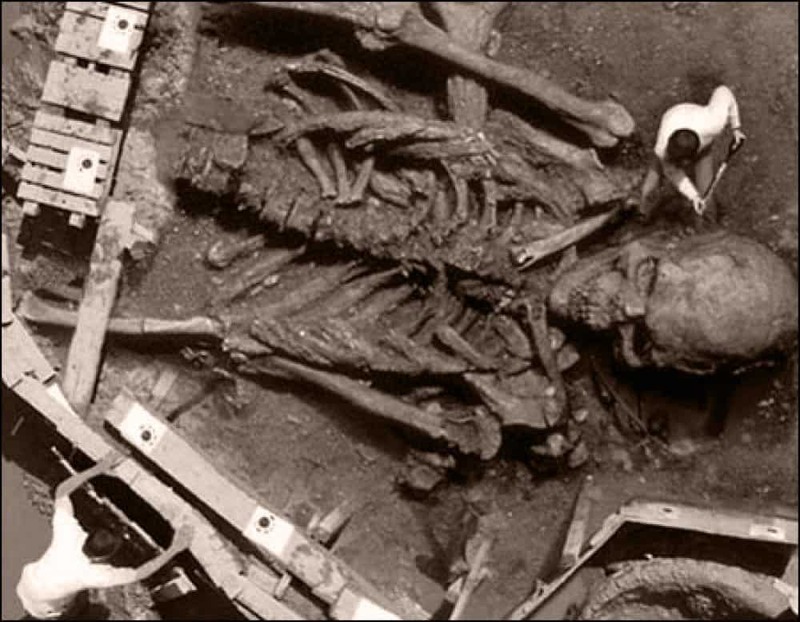 Unfortunately, it would later go on to be linked with a fake news story about a huge skeleton that had been uncovered, helping it to establish some traction online. This image became iconic during the early 2000’s when it became viral while being sent around as an email to millions of inboxes. 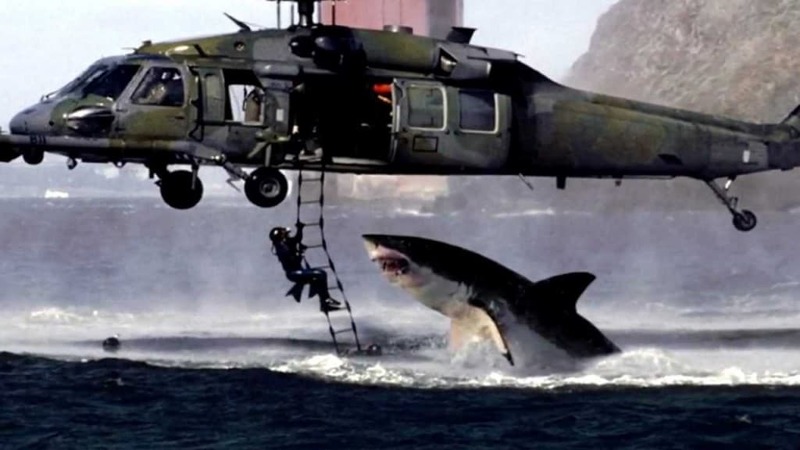 It shows a dramatic photo of a Black Hawk helicopter escaping from a shark. While it may seem that it is obviously fake, it occurred at a time when the popularity of the internet was exploding and it became one of the first real hoaxes on the web. When John Kerry was looking to run for office, a Republican campaign began to smear the politician to help turn the public against him. 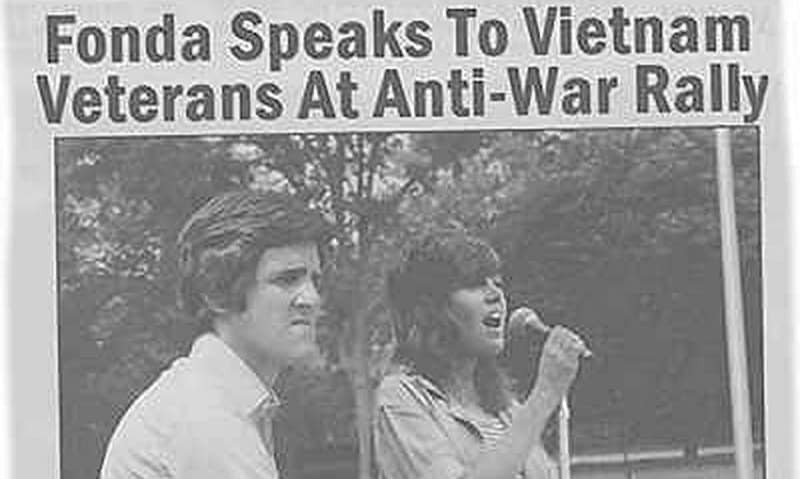 One of the most effective ways was when an alleged photo of him with anti-war protester and actress Jane Fonda. However, the photograph was actually photoshopped, taking two separate photos from more than a year apart and combining them together. In the United States, an event during the summer of 1994 became one of the most famous in American history. Following a dramatic car chase, O. J. Simpson was eventually arrested and charged with the murder of Nicole Smith and Ronald Goldman. 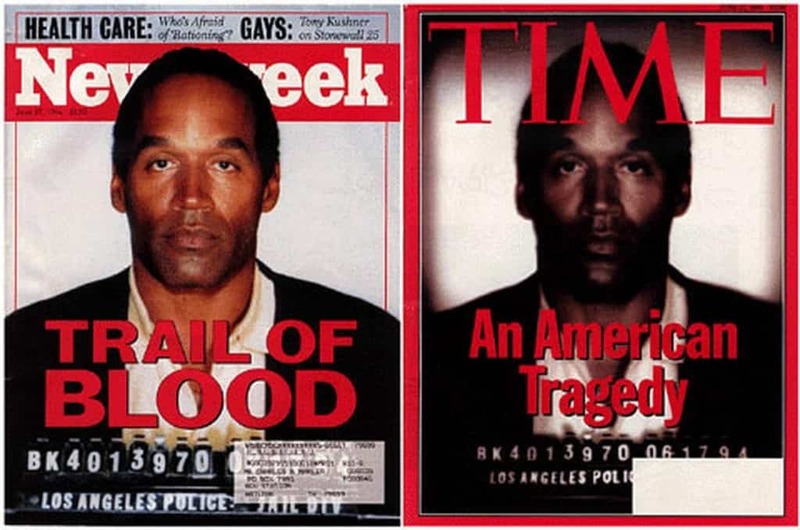 Many magazines and newspapers obviously led with the mugshot of the NFL star but Time magazine subtly manipulated the image to make Simpson appear more menacing by darkening his skin and making other changes. 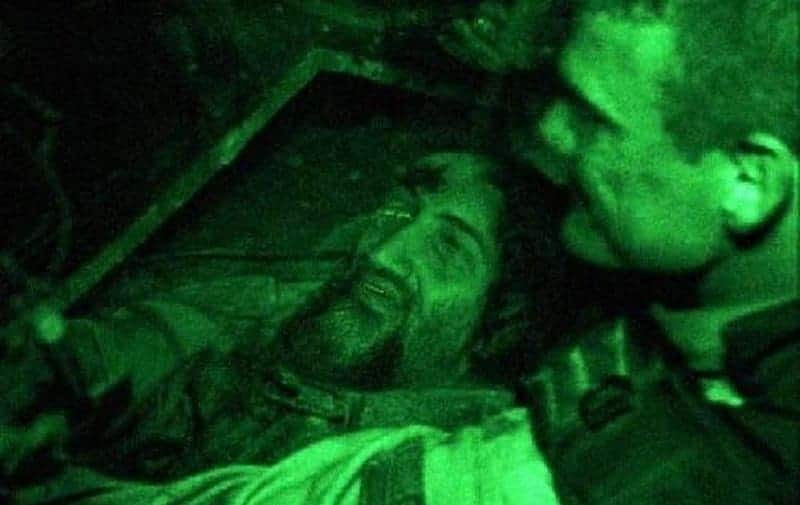 When news emerged that a United States special ops team had killed Osama bin Laden, various images began to appear online that claimed to show the dead body of the former Al Qaeda leader. One of the most widely circulated was this picture, but the apparent photograph is actually a still from the film Black Hawk Down with the head of a dead solider removed and replaced with bin Laden’s. Sharks are some of the most terrifying animals in the world thanks to their striking appearance and frightening ferocity. 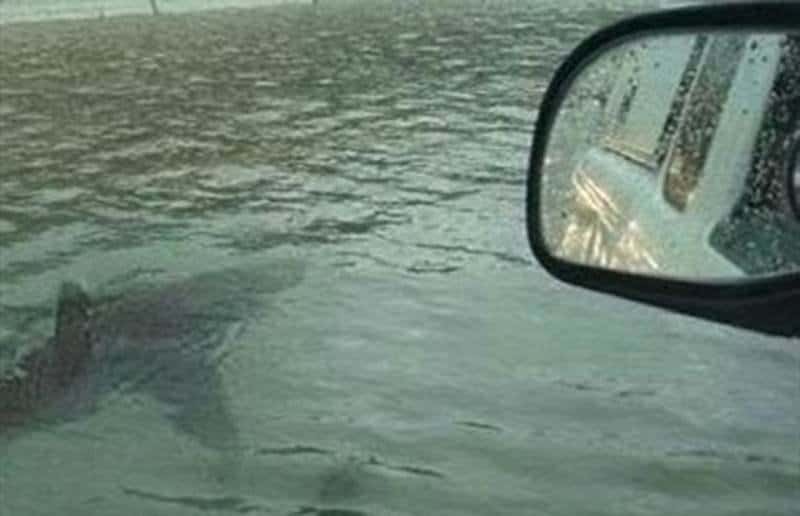 During intense storms it is common for people to photoshop images where floods have happened to make it appear as if sharks have invaded the area. The photograph above was manipulated in such a way and spread to several news sites as well as being shared on social media platforms. 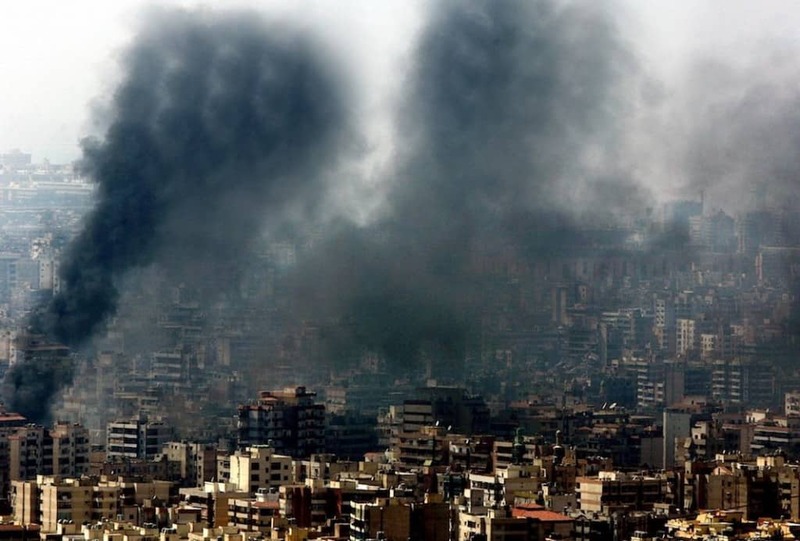 While there were many photographs during the Lebanon War in 2006 that were apparently manipulated, perhaps the most famous was one edited by Adnan Hajj. The photojournalist had added smoke to the site of an airstrike to make it appear as if the explosion and attack were far greater than they were. The controversy eventually led to the firing of several editors and freelancers, with Reuters blamed by Israel for trying to fuel anti-Israeli sentiments. This particular image took the internet by storm when it first emerged. 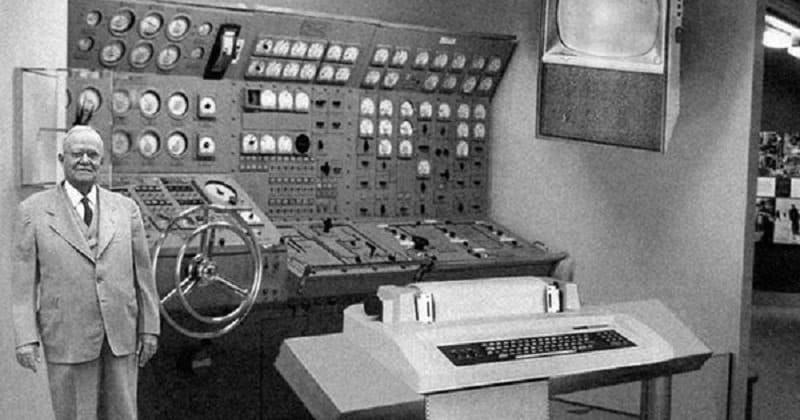 It claims to show what the RAND Corporation believed a home computer might look like in the 21st century. Unfortunately, the photograph isn’t an amusing look into the future but an entry in a competition for Fark that asked people to create convincing photoshops. Abraham Lincoln is one of the most important figures in U.S. history and arguably the most iconic image of the president is the one shown above. The photograph has been shown in textbooks for decades but it is actually a composite of two images. 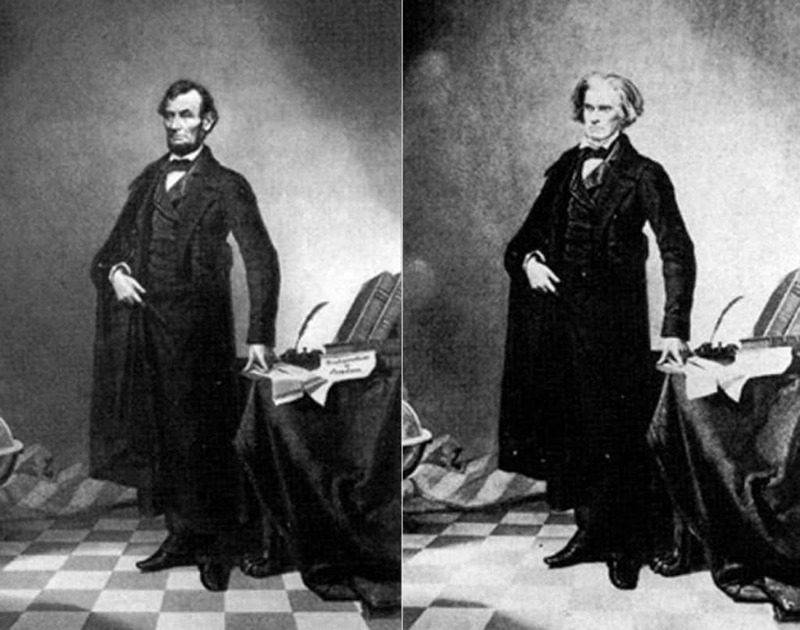 The head of Lincoln was put on top of the body of the Southern politician John Calhoun as the president had not had any sufficiently “heroic” photographs taken. 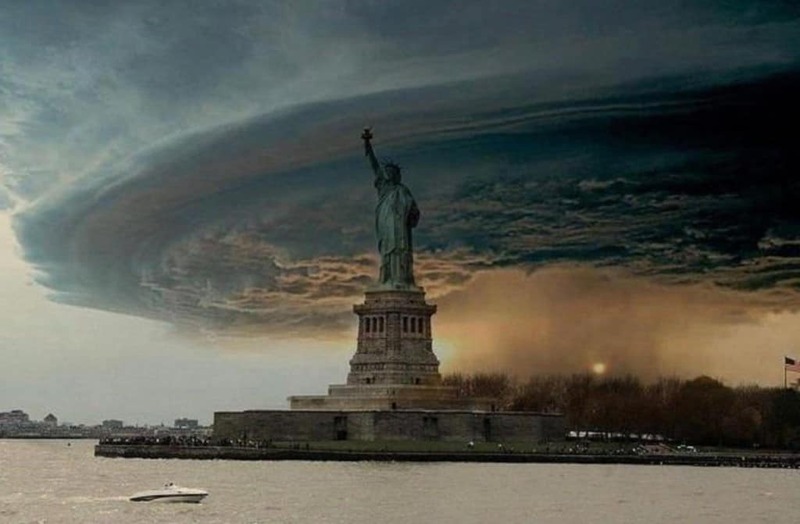 This photograph began circulating in 2012 during the height of Hurricane Sandy and caused something of a panic amongst many residents in New York when it appeared on social media sites like Facebook and Twitter. Luckily for everyone, the photo was a complete fake with elements from two separate images put together to create this striking yet deceitful picture.